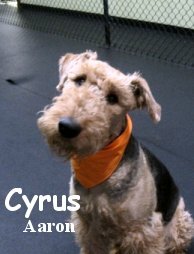 Two new guys joined us this morning--two-year-old Airedale Cyrus, and one-and-a-half-year-old Cocker/Golden mix Sheldon. The both of them did very well today, tearing it up in the big and medium rolls respectively. You can check out the footage of them below! First we have a great clip of Cyrus playing with Gus-- a great big Newfie who loves to romp! 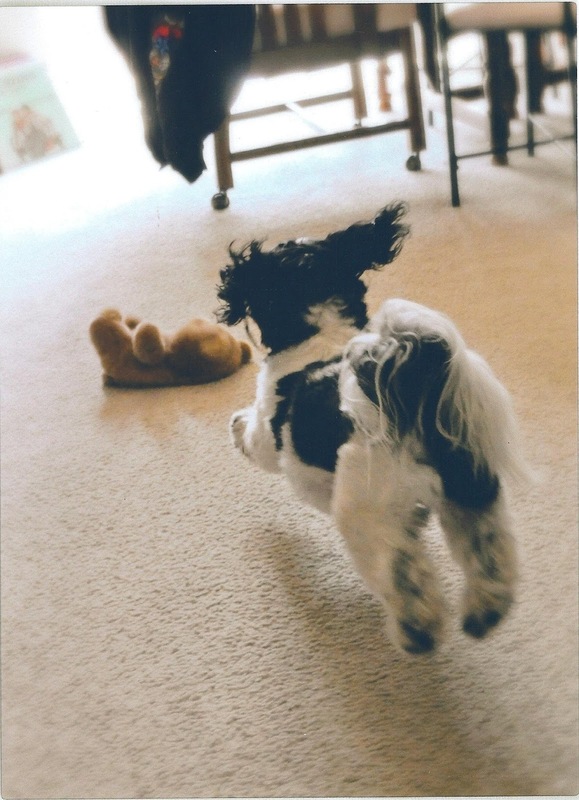 Next is Sheldon with Bogie, a rip-roarin' little Boston that will play with anything that moves! 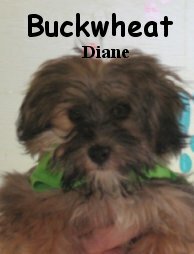 Buckwheat is a teeny-tiny little guy--at just three and a half months old, he weighs just over four pounds. But don't let his size fool you! He is an exuberant and excitable little Havanese-Malti-poo mix, and is just an adorable little ball of fuzz! He came in for his assessment this morning, and went upstairs with everyone's favorite morning greeter--Cortez. He did just fine, and is of course welcome back to attend at any time! 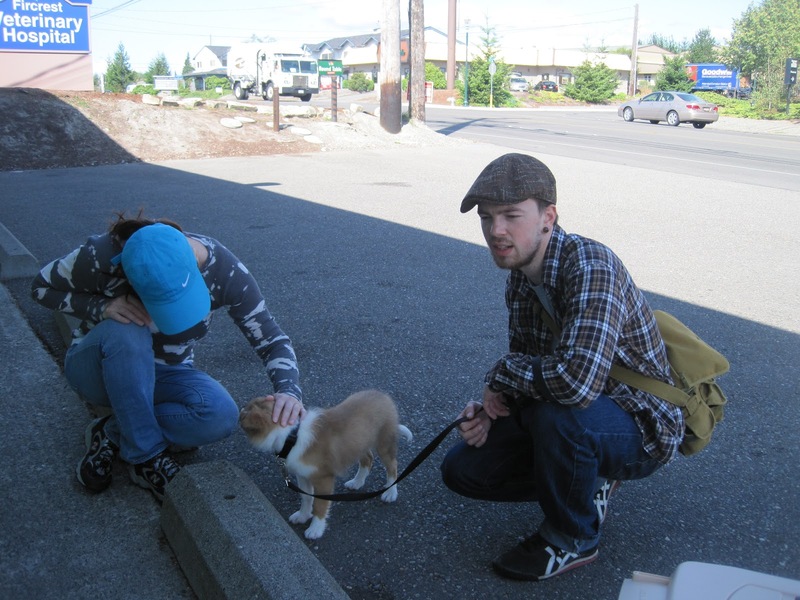 Here's a neat Seattle PI article about hiking with dogs. This is just the season to start planning! This morning we assessed one spirited and gregarious dog... Meet Leo! He is a nine month old, sixty-two pound, Golden Retriever that has a black spot on his tongue. Leo came into The Fort with his owner, happy and ready to get to it. He wagged in, carrying his leash in his mouth, without chewing it up, it was pretty darn adorable lol. Wouldn't it be great to have a dog that could walk it's self like Leo? Hahaha! Anywho, Leo joined us in our Big Roll where he wasted no time getting in on the action. His easy going personality allowed him to make canine buddies quickly, pretty much instantly. Leo played well with Jake and fellow golden Mollie, among others. He is welcome back anytime and we hope to see him again soon. Good job today Leo! Checkout these three Big Roll clips, you can spot Mr. Leo in each. P.S. I ran across these two links recently. From King5 News: Woodinville woman's mission is saving abandoned German Shepherds (with video) and from MSN: Puppy get's head stuck in box. Super! Well, it is sure nice to be back! I hope everyone is doing well, I am doing first rate, thank you lol. The crew has been doing a mighty fine job without me, we are lucky to have such great help... Ironically, it's hard to come by these days! Thank you to Hope, Gary, Matt, Jacob, Kelsey, Austin, Taylor & Lexi. Keep up the good work! O, ma and pa, how could I forget? You two did outstanding as well. Hahaha, wow! These images bring back so many memories of stories I have been told, by customers, over the years. I won't lie, dogs doing naughty things like this... Yup, you guessed it, it is part of the reason we are in business lol. Have a nice week. Happy Memorial Day, thank you to all who have served. P.S. One more thanks to Hope and Gary for keeping The Blog alive, well done! As you can see from Hope's Saturday post, Overnight Boarding at The Fort is working out flawlessly so far. The dogs have been well behaved, happy and content. Awesome! Last night was the beginning of overnight boarding here at the Fort! We caught a couple of cute pics of the pups getting ready for bedtime. Koji was all snuggled in his coat, settling down into his bed . Guinness decided that the floor was comfier than a bed. Here Maddy and Abby are laying down together, just keeping close by their buddy. There was a lot of playtime this morning, and the boarding dogs were getting in on the action. You can really tell that they were well-rested! I hope that you all had as great of an evening as we did! P.S.--Daycare hours are now from 6:30am-7:30pm, 7 days a week! Two Newbies, and Overnight Daycare! 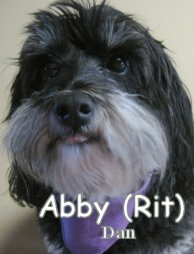 Abby is an eight-year-old mixed breed (her owner guesses Schnauzer/Terrier/Havanese) who started daycare this morning. She is a very chill older gal, and will be spending the night for our first day of boarding! We're lucky to have this sweetheart here with us at the Fort. 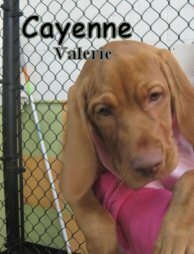 The second half of our double-header this morning was boisterous little Cayenne, a nine-week-old Vizsla puppy who is living up to her spicy name! She tore it up today with the medium dogs, and we caught a great clip of her and Chewy this morning. I can't wait until we get all three of the Vizslas here at once (Phoebe, Rudy, and now Cayenne)- I know that they will have a blast. Other exciting news today is that Fort Fido is now open 24/7 for overnight stays! 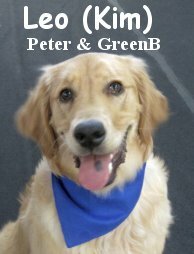 You can bring in your pup during daycare hours (6:30am-7:30pm daily), and they can have a sleepover here with their doggie friends. A big thanks to all of you guys for showing your interest and your support, and making it possible for us to take this leap. We'll see you bright and early tomorrow! It's always fun when we get to see our daycare dogs in their "natural environment," haha. 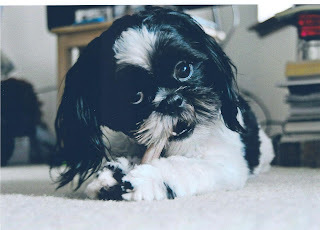 Buddy's mom brought us in this adorable picture of him chewing on his antler at home. That pup sure is photogenic! Here is one of Diego striking a pose, that his mom sent to us over email. He looks like a natural model! In the news, a dog saved his 9-year-old owner's life. The girl was swimming with her cousin in a lake, and their pup came and pulled them back to shore. A dog's untimely death inspired the creation of a non-profit organization geared toward helping American families afford vet care that is prohibitively expensive, and all-too-often leaves families choosing between euthanasia or a poor quality of life. And just for laughs, check out this article about top dog breeds for landing a hot date. Lol! Marlee is a precious little nine-week-old Cocker Spaniel puppy that started daycare at the Fort this morning. Although weighing in at just five pounds, she was cool and confident with the pack. Henry, a Bolognese who has been coming to daycare with us for almost two years, showed her the ropes this morning. These two make an adorable couple! 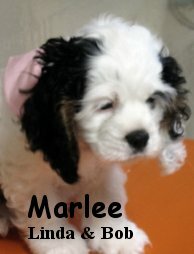 Marlee was all wags, and we hope to see her back at daycare soon! Buddy's owner sent us this great picture of Buddy leaping for his toy. Here is a clip from today of the medium dogs playing hard. In the news, dog saves woman from house fire. Here are a couple great clips of the medium dogs. We had a good Saturday crowd here to enjoy the sunshine today! Here's a cool clip of Gordon and Tikvah, along with Lila and Blue playing in the background. Ironically I just mentioned dog bite prevention week, and yesterday a Wisconsin politician canvassing door-to-door for votes was bitten by a dog after entering its yard. She said it is their policy to skip houses with dogs, but they did not notice the dog at this particular place. It's essential to be aware of your surroundings, especially when you may be seen as an "invader" into a dog's territory. Sorry for the brevity of today's blog--I've been hard at work re-sealing the floor before out 24/7 adventure this next Friday! I hope you guys are as excited as I am. The third full week of May each year is the ASPCA's "National Dog Bite Prevention Week," in conjunction with the USPS. Every year the Postal Service posts a list of the top 25 cities with the most dog attacks on USPS personnel. Last year, both Tacoma and Seattle made the list, at numbers 21 and 10 respectively. We did better this year--Tacoma did not even make the top 25, and Seattle made it down to 12th place. You can see the full list posted here--I guess that California and Texas were the worst places to be a mailman this past year! Every year approximately 4.7 million people are bitten by dogs in the US, and about half of all people that are bitten are children. Insurance companies in the US paid $479 million in claims related to dog bites. National Dog Bite Prevention Week is about awareness and education, teaching both ourselves and our children to approach dogs in a safe way. In this spirit, the Association of Pet Dog Trainers has released a free webinar to help families teach their kids and their pets to get along. In such a dog-friendly culture, it is essential that children learn early how to greet dogs in a safe and respectful way. After all, 29% of US families own at least one dog. There are over 70 million owned (registered) dogs in the US. Dogs are just a fact of life, especially for us pet owners! At the Fort today we caught a little Friday action on camera from each play area. In the medium roll, Gracie and Tikvah were great buddies, soon to be joined by Cody and Sammy. Upstairs with the little ones, Miller, Frizzy, Chloe, and Oliver had a blast playing ball. The big dogs were full of energy when Gordon and I got here this afternoon. Pepper was ready to give him a run for his money, and Maximus was playing with one of his chocolate lab buddies, Grady. The last thing that I wanted to share with you guys is this cool clip of a really talented dog named Norman. He can ride a bike, surf, scooter, and skateboard! After watching this trick, you can click through some of the "suggested videos" to see more clips of Norman in action! Have a great weekend everyone! Remember--only one week until we are open 24/7! If you're planning a trip or vacation and are looking for a place for Fido, come and talk to us. German Shepherds are beautiful creatures, however, they are "a lot of dog" requiring strong leadership! We here at Fort Fido commend Murphy's owners for educating themselves and doing right by him. Way to go! Checkout this swell clip of Murphy and Tilly running amok haha! There was also a short clip of Barkley, Bogie and Lucy having a good old time downstairs in the Medium Roll. I came across some really good ones! Yellow Lab Buddy, a long time friend of The Fort, met up with Big Gus for the first time. They were also best buds all morning. Hahaha, not Pearl and Gherie, that's for darn sure! These two cute, little, stinkers went for Nancy's micro fiber mop the other day. They proceeded to treat it like a "varmit flushed from a hay bale", too funny! This certainly gave us a chuckle, we had to share. Apparently it's playtime ONLY for that Little Roll lol! Enjoy that big, warm, beautiful orb in the sky today. Are you needing your daily dose of cuteness? Check out these great videos of big dogs playing with little kittens! So much for "getting along like cats and dogs" being a negative thing--I guess this settles the nature versus nurture debate! Colleges are now beginning to note the benefits of spending time with pets, and many now have therapy dogs that spend time with students. Some even have pet-friendly dorms. A principal from an elementary school in Cleveland noticed the same thing, and her pooch Brutus comes with her to school, to help students and faculty. He is a great listener, and kids read to him to practice their skills in a completely non-judgmental environment. A California dog is recovering after he took a rattlesnake bite for his 14-year-old buddy and owner.What a brave dog, intentionally putting himself in harm's way to ensure the safety of his "brother." The USDA is proposing (finally) tighter regulation on internet pet sales, to help shut down puppy mills that have begun operating using new technology to avoid inspections. Hands 'n Paws is a group helping children and the elderly interact and socialize with dogs and each other. This is a cool story about a patriotic dog from Iowa's history. Doc served as the mascot of Company K of the 23rd Iowa Infantry, beginning his service in the late 1800s. Enjoy this sunny weekend! It's so great to have this weather timed perfectly. P.S.--Still more news on the Diamond Pet Food recall. So glad to know that every batch of Kumpi is tested at various stages of the cooking process, ensuring it's high quality and safety. Sit, Stay and Down, that pretty much sums up our whole repertoire... I know, we should have all kinds of cool tricks down, someday lol. However, it pleases me that Gibson is under such good voice control, it has taken little effort yet much consistency. That's dog training in a nutshell eh? I highly recommend all dog owners have that kind of control with their pet. Good voice control is essential, truly vital, to a healthy and safe relationship with your canine companion. You and your dog can have it, but you must build it into your daily routine. What some folks don't realize, is that training is never done. I don't consider anyone or any dog officially "trained". It is ALWAYS a work in progress, hopefully it's a fun labor of love as well. Gibson has been "Sitting" and "Staying" in multiple situations, at least eight+ times a day, on average, since the first day I owned him (at three months old). With that said, it isn't rocket-science as to why he is as good at it as he is... We won't discuss his jumping up right now though hahaha. Over the last two years, my wife and I have honed our/his skills by slowly integrating different distractions, testing his mettle with traffic, kids, other animals, etc.. When working with him, or any dog, I try to remember that it isn't ever the dog's fault. He/she can not be blamed, all issues lie with me, the owner or handler. Now, in his most impressive moments, Gibson can sit and stay in the middle of the Medium Roll, with 20+ other hyper dogs cavorting around him. He stays, eagerly waiting until I give the command "OK! ", cuing his release. I'm proud of him and happy with my follow through. Most dogs are pretty darn smart. Remember, it's us and our lack of consistency that can sometimes screw them up. Horn tooted and thoughts out of my head for now lol! Keep you and your dog's routine tight, you can do it. I believe in all of the Fort Fido dogs and their owners! Enjoy your weekend, get out in that sun! It's time to garden! New Boxer Boy Quincy was back at The Fort today. He is in tip top shape, fully recovered from his neuter. Quincy is doing very well, he's having quite an exciting day here. I caught a great clip of him playing with Sam the boxer... Stella and Jasmine are here today as well, boxerrific! A bit on "submissive urination"
P.S. 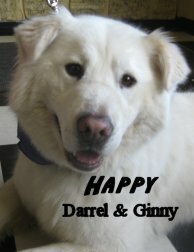 Happy Birthday to "Happy Dawg", our one and only Samoyed, he turns eight years old today! He doesn't look a day over three hahaha! We received some good news this morning... Lost pooch Honaw has been found. 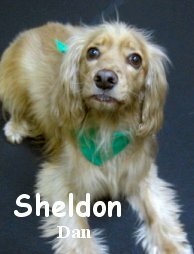 Apparently he popped up at the Tacoma Humane Society. Way to go! That must have been on emotional roller-coaster! Ryker and Sadie demonstrated lots of fair and balanced play in the Big Roll. In the Medium Roll, Cody and Gracie rocked their "Doodle Style" lol. Not to be outdone, the Little Roll had a wonderful group of wily rascals in rigorous play. There was even a lot of wrestling between them. Zeus was in for his assessment early this morning. He is a one year old, seventy-eight pound, red colored (our first of this color at The Fort), handsome Doberman Pinscher. Zeus is a daycare regular that hung out with us in our Big Roll. This "Dobie" is a sensitive, sweet and goodhearted fellow. In the play area, he went straight to play with young pup Zipper and mingled with several others in the pack. 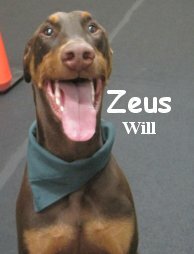 We hope that Zeus will enjoy his stays at Fort Fido more and more with each visit. There should definitely be more play and good times out of this guy! Zeus was a pleasure of a dog that is welcome back anytime. P.S. Here is a short yet lively clip of Zeus and Zipper having a blast together. Should I include my dog in my wedding? We received a "lost dog" flier here at the Fort. If any of you have seen him, make sure to give them a call. Nothing is worse than that feeling in the pit of your stomach when you realize that your pooch isn't where he or she is supposed to be. Losing a pet is a harrowing experience, but there are a number of things that you can do to avoid losing Fido in the first place, and to ensure that your lost pet has the best possible chance at being returned home to you. One of the no-brainers is to make sure that your pet is always contained. Whether that means they are on a leash or tie-out, in a fully fenced yard or closed house, make sure that you are aware of the environment that you are leaving your pet in. If Fido has separation anxiety related behaviors (such as digging out under the fence, tearing at or opening doors) then consider leaving your pet in a crate when you have to leave him or her at home. I personally am a big proponent of crating--I would much rather have Gordon confined to his nap zone than allow him to have full-run of the house (and all the "edible" things he can find in there!). You should also make certain that you have clear, high-quality, recent pictures of your pet, in case you have to make fliers. Microchips are also a really great invention that we should all take advantage of. While collars and tags are the first line of defense, these can easily be lost or broken. A microchip will be with Fido, no matter how long he's on the lam, and as soon as he gets to a vet or rescue group he should be scanned. Make use of every resource that is available to you! 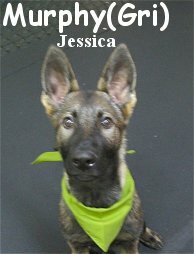 Take fliers to vets, rescue groups, pet stores, and yes doggie daycares! These are places that your pet may turn up, and places where tons of animal lovers get together and talk on a daily basis. They are great places to start getting the word out. You can also post fliers digitally on social media like Facebook and Twitter. It may seem like it won't help, but those services reach a wide audience of people, who can all continue to pass on the information to everyone that they know. Before you know it, you may be hearing back from someone who has seen your pet. When it's not your pup that has been lost, do your part to help when you can. It just takes a minute to snap a picture of the "lost dog" flier with a smartphone, and post it to Facebook and Twitter. Or even just to save the number, in case you stumble across the pup yourself. If you are interested in learning more about tracking down lost pets, consider checking out the free seminar on May 17th offered by the Missing Pet Partnership. This seminar will explain lost pet recovery techniques that the Pet Partnership uses. They are also offering a more in-depth, 5-day seminar in late June. Wow, get a load of this... Our newest, most favorite, Baby-Mastiff, Tilly, has made it into the Pet Connection Magazine! The Pet Connection magazine is the south sounds wonderful, free monthly newspaper. It is quite fun and informative, a very well done publication. Although she didn't make the cover, I better write their editor ;) lol, her photo was fantastic. Tilly was over at the Total K-9 Health & Fitness Center in Fife. She was there to workout, play and generally be her cute self. She did very well on their treadmill, but didn't venture into any Hydro-Therapy haha. Apparently she gallops on a treadmill at home too, so funny! You can pick up a Pet Connection here at Fort Fido anytime. I snapped two quick shots of the work being done down here at The Fort. It is coming along beautifully... Some things just require professionals lol. We are getting some new flooring, fixing various things around the building and installing a washer/dryer. Basically, we are doing various fixes and upgrades to ready ourselves for overnight boarding. Exciting! I captured this great clip of Marty and youngin Zipper playing hard this morning. Marty has been very patient with him and has had to "correct" him several times. Zipper is learning, slowly but surely. Thanks to Rainier, Collin, Joyce, Pearl, Phylis, Bella and Susan for sending me these, twas much appreciated. I loved the German Shepherd one among others hahaha!